Did you know that something as common as drinking a glass of water can disrupt your gut health? While antibiotics are touted as one of the major reasons behind digestive issues, there are everyday common culprits (like chlorinated drinking water) that can hurt your gut, as well. Keeping a tight leash on all possible triggers can be challenging. Why? Because they exist all around us; we are exposed to them on a daily basis. For example, our increase in the use of vaccines can affect our microbial flora. The excessive consumption of carb-heavy (and sugar-heavy) foods can cause inflammation. Taking antidepressants and sleeping pills, artificial food colouring, excessive consumption of alcohol, and lifestyle factors such as a lack of physical exercise or poor diet are common triggers of an unbalanced gut, as well. The solution? Rejuvenate and restore your gut health with Human Colonizing Probiotics (HCP®). When it comes to digestive health, probiotics are the good guys. Once ingested, they make their way through the body and into the gastrointestinal (GI) tract. They then begin to colonize and improve intestinal health by optimizing digestion of food and absorption of nutrients. This also supports immune function, healthier skin through reduction of acne, eczema and psoriasis, prevention and treatment of vaginal and urinary tract infections, and reduced symptoms of dysbiosis (imbalance between good and bad bacteria). HCP®70 (70 Billion Cells) is a High Potency Probiotic specifically designed to inhabit and protect the entire length of the GI tract. The Lactobacilli (Rhamnosus, Acidophilus and Salivarius) primarily colonize within the small intestine, while the Bifidobacteria (Breve, Bifidum and Longum) are most prevalent within the large intestine. Consideration was also given to ensure oral and vaginal probiotic health. 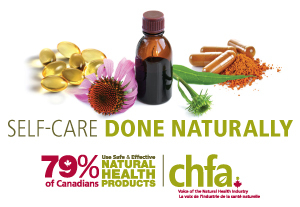 HCP®70 is manufactured using a cryoprotective process that ensures the viability of the flora. This cold temperature process removes all the available moisture and microencapsulates the strains for optimum stability. It is further enhanced by the addition of a family of stabilizing support nutrients that contribute to the longevity of the active cells. HCP®30 (30 Billion Cells)is a Full Spectrum Probiotic that provides all the health promoting benefits of the original HCP®70 High Potency Probiotic, but at a more modest dosage making it more ideal for continuous ongoing use. HCP®150(150 Billion Cells) is a Critical Support Probiotic that offers all the health promoting benefits of HCP®30 and HCP®70, but at a maximum strength potency for times when a more therapeutic dose has been recommended, or when critical support is required on a temporary basis to restore proper gastrointestinal balance. Why do we use human strains? Human microflora is by far the most compatible with your digestive system. It has the ability to colonize and multiply within the GI tract whereas other forms (dairy and plant) can fail to stick to the intestinal wall, or, simply die off after ingestion. So, if you’re looking to get back on track with your gut health or simply work towards feeling better every day, introduce yourself to good bacteria with Progressive HCP®.